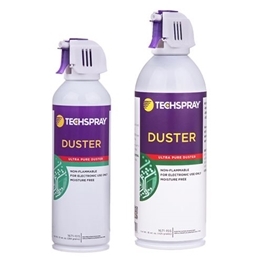 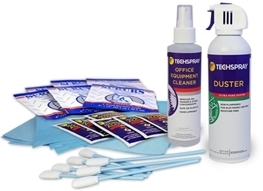 Techspray Office Equipment Cleaning Kit is a convenient, effective assortment of products that provides necessary tools for properly maintaining office equipment. 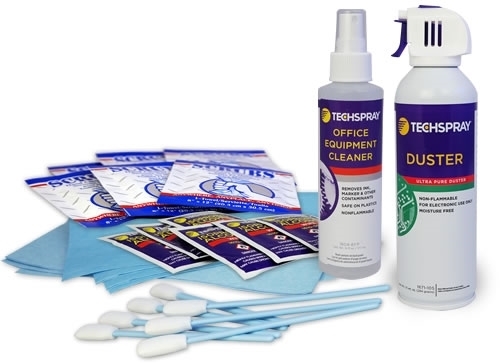 The combination of a water-based cleaner, duster, pre-saturated wipes, lint-free dry wipes, and swabs are ideal for cleaning the exterior and internal mechanics of copiers, mailing meter machines, label printers, desktop printers, and much more.The kit is perfect for removing dried ink, dust, paper residue, and grime build-up. You no longer have to risk your sensitive electronics by using household and otherwise untested cleaning supplies. 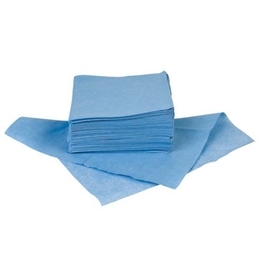 Pitney Bowes, FP Postbase, Neopost, Hasler, Secap, and other mailing meter machines. 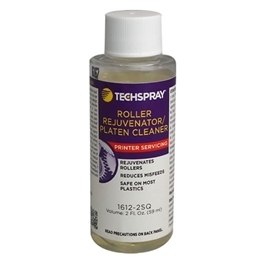 HP, Xerox, Cannon, Epson, Zebra and other printing equipment.